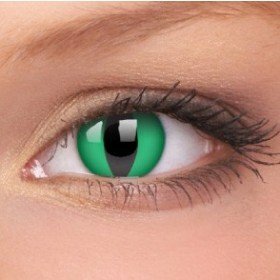 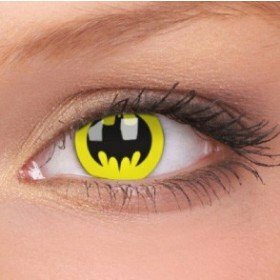 There are many different colours that comprise these very awesome Dragon Eyes Contact Lenses by ColourVUE. 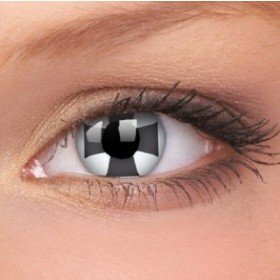 They start with a vertical black cats eye type pupil. 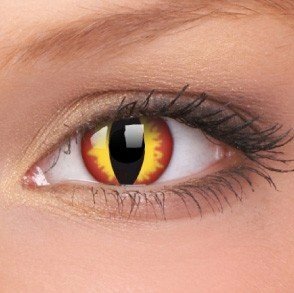 Surrounding the pupil is a golden yellow, followed by a deep red out to the rim. These lenses are unique and bold. The colours are bright and they will definitely make you stand out from the crowd.